Prepare / Prepare your study. Fill out fields on left to ﬁnd out if your sample size is sufficient. Fill out fields on right to ﬁnd out if your sample size is sufficient. Belén, Costa Rica was suffering from a worsening water shortage. 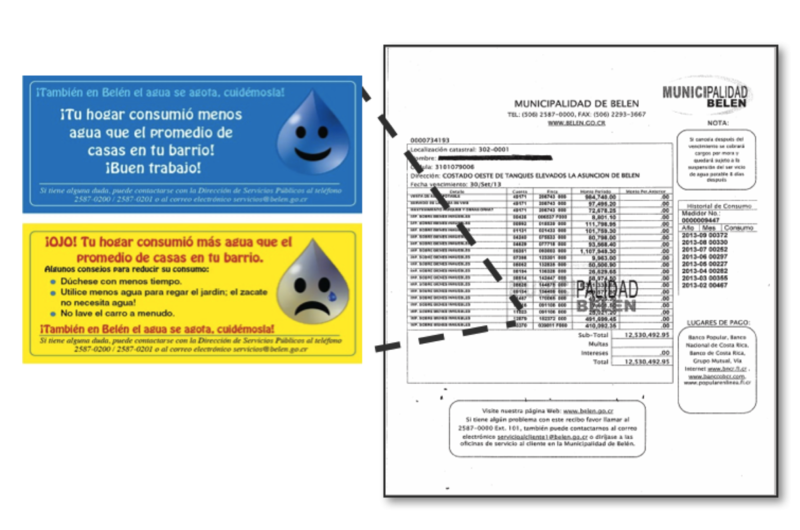 The City partnered with ideas42 and the World Bank to reduce water consumption by sending household water bills with stickers attached to encourage water conservation. To determine which sticker design would best nudge residents to decrease consumption, ideas42 conducted an A/B test with three treatment groups and a control group. To ensure a successful intervention, the team needed a large enough sample size. Estimating that sample size meant coming up with an estimate of the percentage of people currently using less water than average. If the researchers had only tested a handful of houses they would not have received an accurate representation of how the intervention would perform on a larger population or in other areas of the city. If the researchers tested with too many households, the test would have been too costly to run. Ultimately, the researchers determined a proper sample size and the intervention was successful: two of the treatment groups reduced water consumption by up to 5.6%.